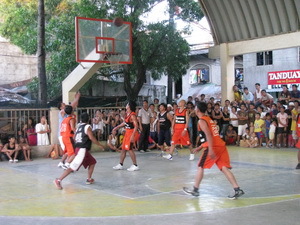 Basketball is one of the favorite sports of Filipinos – young and old alike – and inter-barangay tournaments are popular across the country. To generate interest in sports and fitness, the Tropang Villar Team starting making its rounds in 2009, visiting all the barangays of Las Piñas conducting free basketball clinics. This is part of Villar SIPAG’s youth development program, using sports as a means of instilling the values of discipline, team work, and striving for excellence. 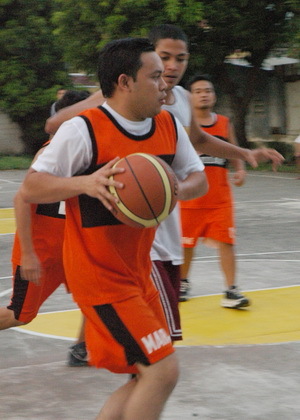 During the first run in 2009, Tropang Villar, headed by Las Piñas Congressman Mark Villar, gave out more than 5,000 basketballs and jersey shirts to the participants and held exhibition games featuring stars from the Philippine Baskeball League (PBL) such as Egay Billones and Ron Zagala. The summer months of April and May in 2011 will see another rolling out of the Tropang Villar basketball tournaments in Las Piñas.